Comments: As the youngest member of the X-Men, Kitty Pryde often feels outclassed, especially with powerhouses like Colossus and Wolverine around. She underestimates her own value. Her quick mind and ability to phase through solid matter lend subtlety to a team overflowing with brute force. Her close relationship with the other members of the X-Men maker her, a crucial component of the team, one that focuses their conscience and power on what is right. 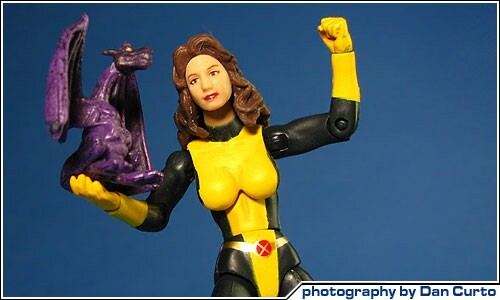 This figure of Kitty Pryde sports 22 points of articulation!